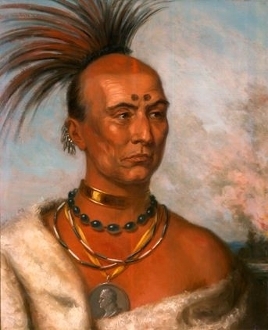 Black Hawk was a warrior of the Sauk and Fox tribe who lived from the late 18th to early 19th century. He is celebrated and honored for his bravery, resistance and leadership in the face of devastating government and military action against his tribe. This service is held on DECEMBER 17TH ONLY. The Spiritual Churches of New Orleans recognize Black Hawk as a very active and strong spirit guide, as they have for nearly 100 years. Many Spiritualists today call upon and ritually work with Black Hawk for the purposes of guidance, protection and justice. You candle will be dressed for you, while stating your petition, and set on my altar to honor this powerful spirit. **********************PLEASE ENTER your request/petition in the "special instructions" area so I can enter it into the honey jar. IF THERE ARE NO INSTRUCTIONS IN THE "SPECIAL INSTRUCTIONS" YOUR ORDER WILL BE CANCELLED. NO OUTSIDE EMAILS OR PETITIONS ARE ACCEPTED. I RECEIVE FAR TOO MANY ORDERS FOR THIS SERVICE TO KEEP TRACK OF ADDED INFORMATION THAT IS NOT PROPERLY SUBMITTED.